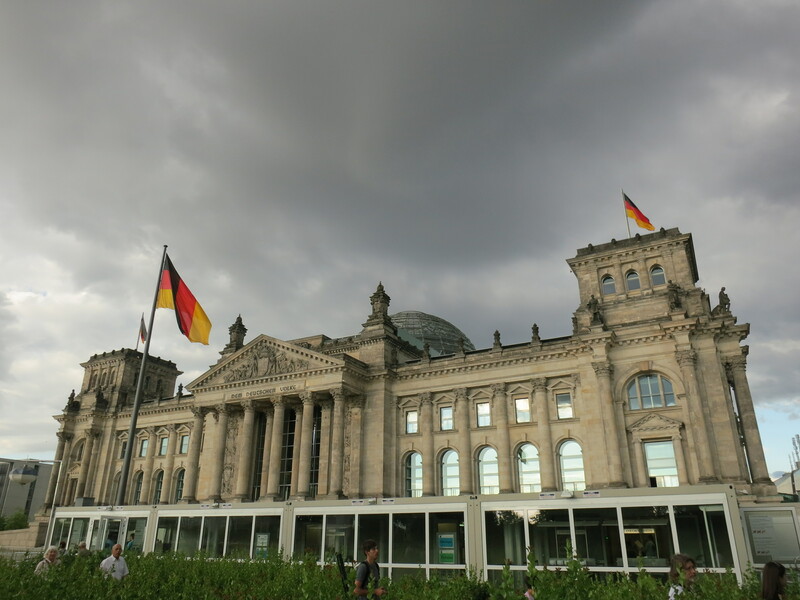 I first visited Berlin in 2001, as part of my first-ever solo trip, and it felt quite different to be there in 2013. I was older and wiser, yes, but also I was staying with my sister-in-law and having a rest before moving on to points less well-known, rather than taking in lots of tourist sights. 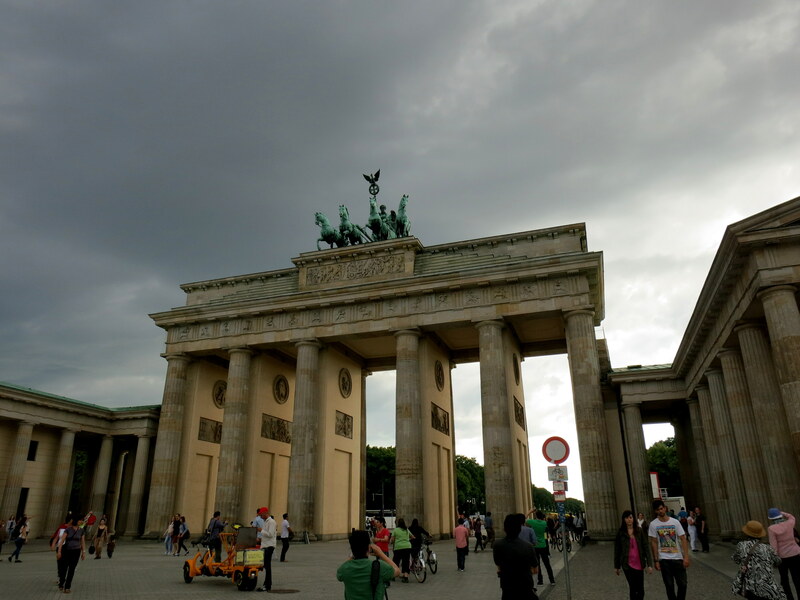 Of course, I passed the Brandenburg Gate, and I visited the controversial Holocaust Memorial, but mostly I went to parks and ate kebabs and hung out with people. 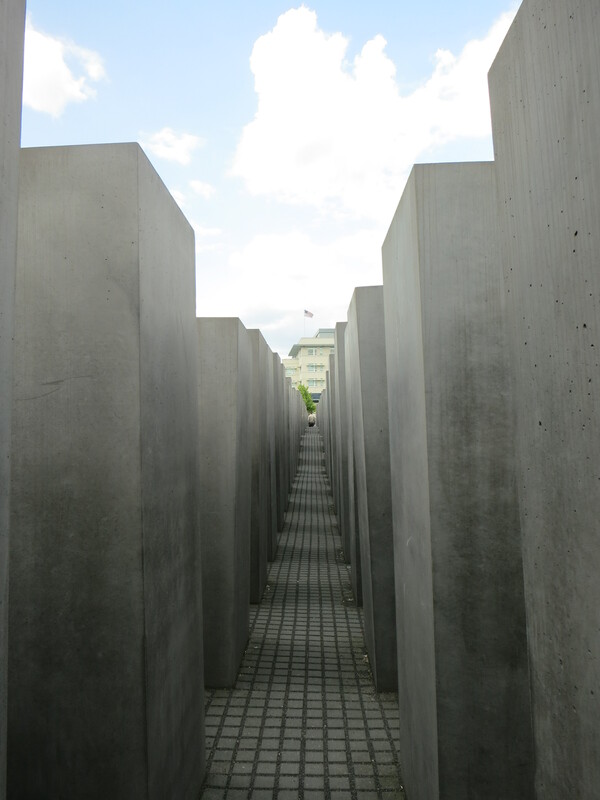 The Holocaust memorial–full title ‘Memorial to the Murdered Jews of Europe’–is far from being well-received. Peter Eisenmann won the design competition with his plan to make a memorial that has no symbolism attached to it at all, so that each viewer can interpret it as they choose. (I find this ridiculous–just by creating something, you’ve attached your own interpretation to it, with your own ideas of what it might symbolize or mean, and anyway an audience is always going to interpret a work of art however they choose, no matter how representative or abstract you make it.) 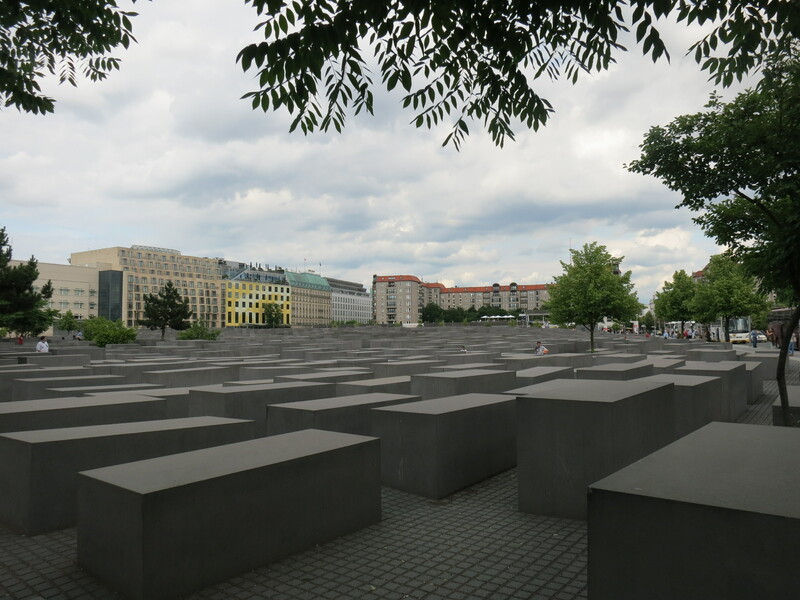 Anyway, he built these giant concrete slabs on a purposely uneven surface, so that visitors would feel disoriented and confused (how is that not symbolism? okay I’ll stop). The setup reminds many, including me, of a large cemetery. But the many problems with this design and construction include: the whole drive to make a Holocaust memorial was started by a non-Jewish person, and the Jewish community in Germany has generally said they don’t want this memorial; there are no markers around the memorial to tell people what it is, so you can pass by without processing it at all; the information center is below ground and doesn’t have much in the way of education, so it’s stuck in the past instead of doing anything to encourage people to prevent future such tragedies; singling out the Jewish victims doesn’t honor the LGBT, Roma, communist, religious, and other murdered groups; even the name mentions the victims but not the perpetrators, leading some to call this a ‘memorial to German guilt’ and not a way to honor the dead. My friend Becky was moving back to the States after a stint of expat life in Berlin, so we met up just before she left. 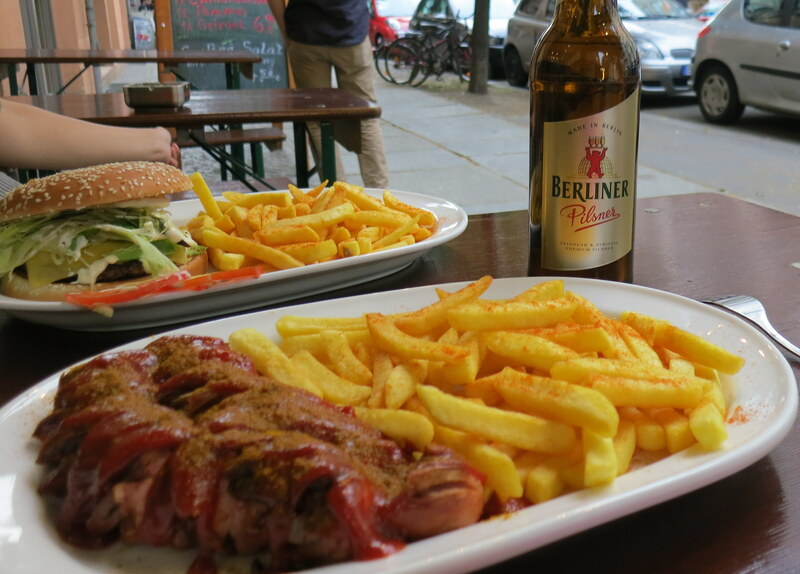 We got currywurst and fries at a kebab shop, and then she showed me Dachkammer bar, which is an East Berlin bar kept in same style it was in the DDR. This meant it looked like someone’s living room, overstuffed with chairs and couches, ashtrays because you can still smoke in the upstairs rooms, and bad art on the walls. 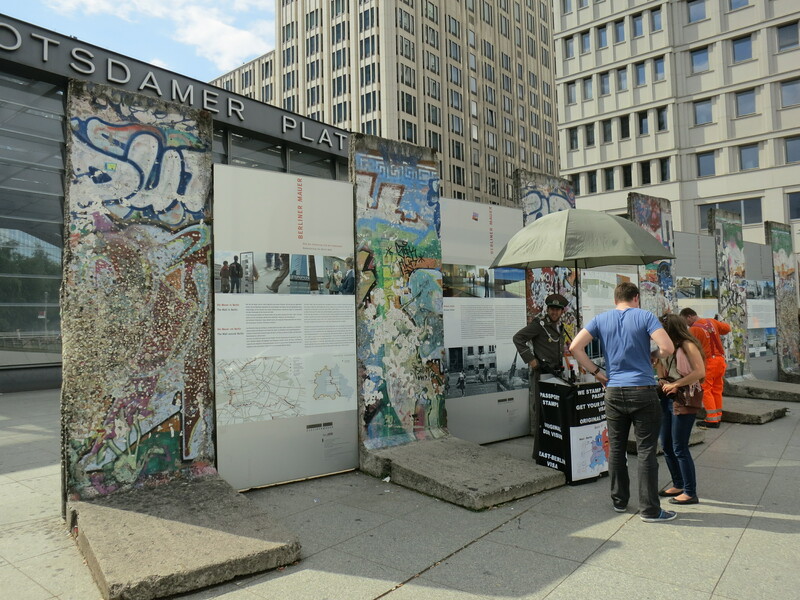 My sister-in-law Lizzie and I went to Tempelhof, which you can read about here, and we also went to a few Pride Parade events, including the more political and less party parade. 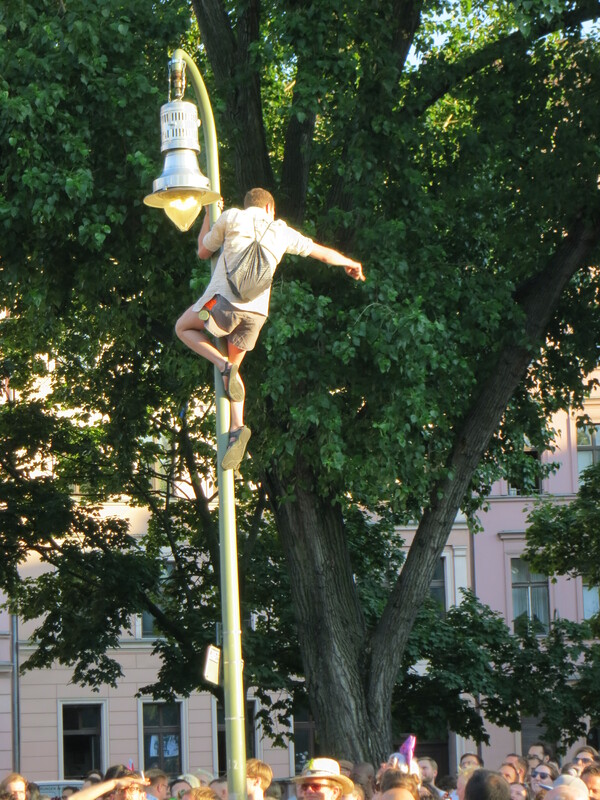 I plan to write a piece comparing some of the Pride events I saw in different European cities, but let me say that it’s no surprise the Berlin event was full of camaraderie and a strong desire for more change. 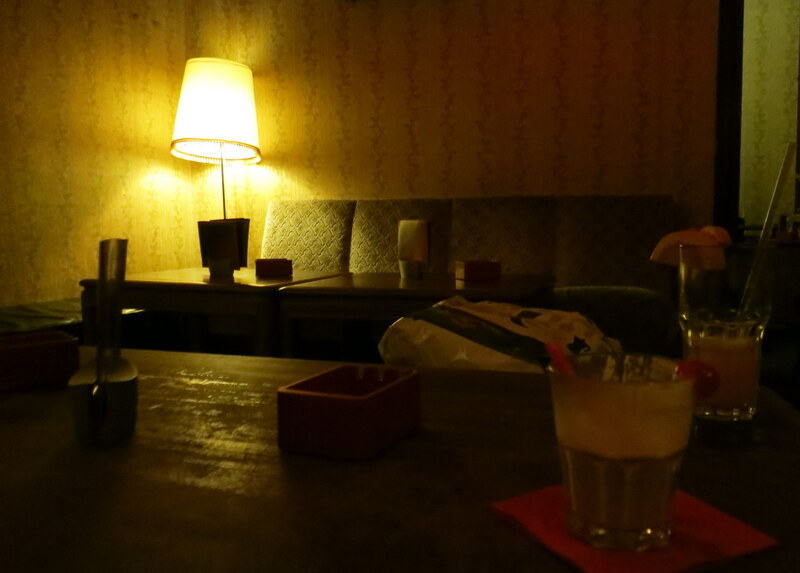 I went to a couple Couchsurfing events, the best of which was a spaeti crawl. Spaeti are the convenience stores found on every street corner. Public drinking is still allowed in Berlin, so what we did was just go into the store, buy a beer for about a euro, then go out and drink it on the sidewalk and socialize with the other travelers. 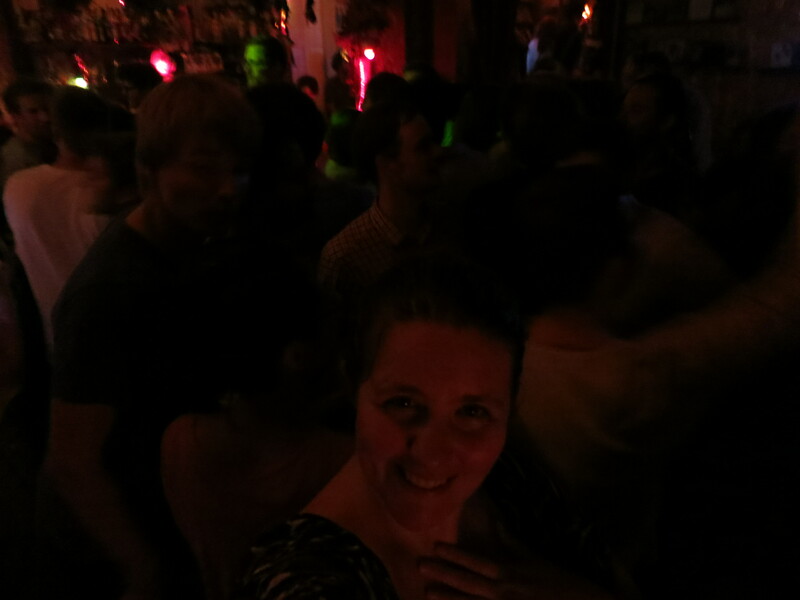 We went to maybe four spaeti, and then the group split up as some people went clubbing and some of us went to a tiny dance place in a video store. It was a good end to a short visit.